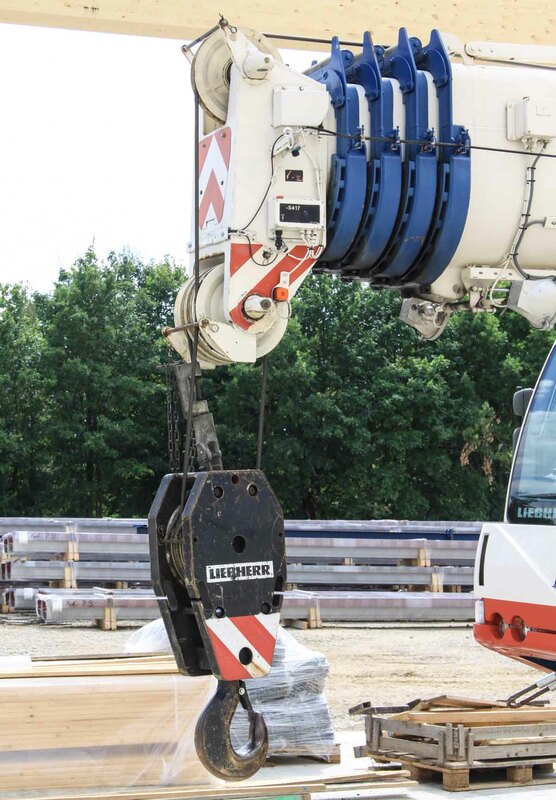 This Liebherr LTM 1060/2 of Roll Kran + Arbeitsbühnen from Crailsheim (DE) stood parked on a construction site in Kirchberg an der Jagst (DE). 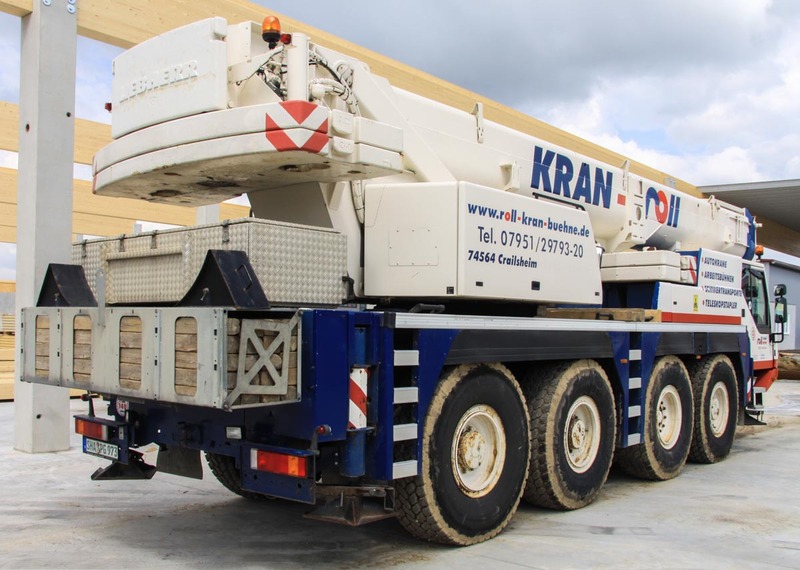 It is a 60 tonne crane with year of manufacture 2000. 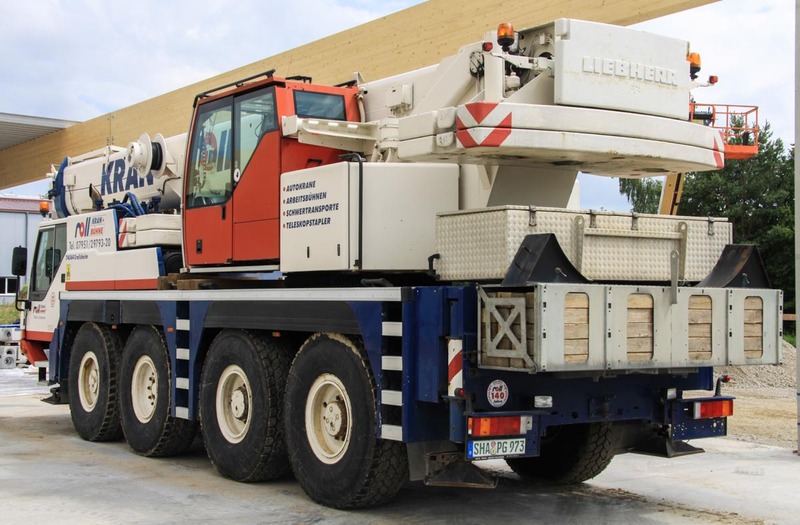 The 4-axle undercarriage is powered by a Liebherr D 926 TI-E diesel engine with 367 hp. 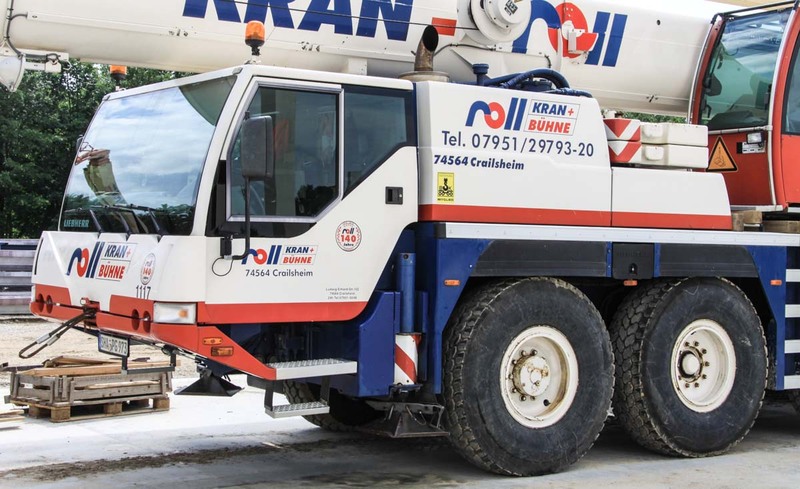 This crane has the optional 8x6 drive line with the first axle also driven. All axles are steerable. 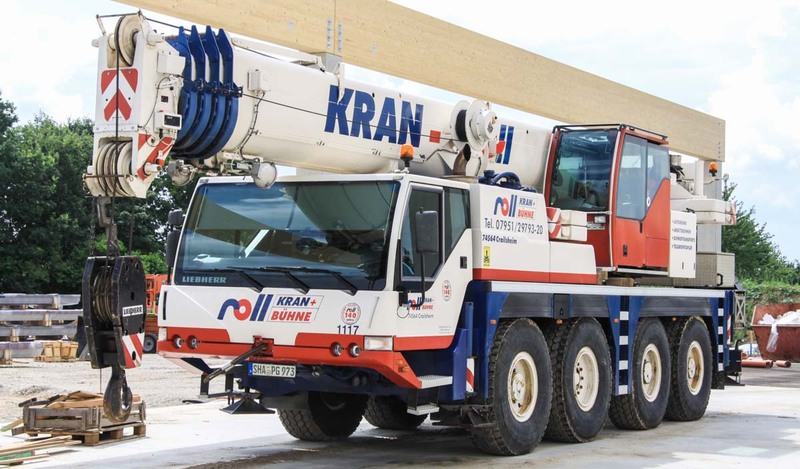 The 5-part main boom has a 10.9 meter base length and a maximum length of 42 meters. 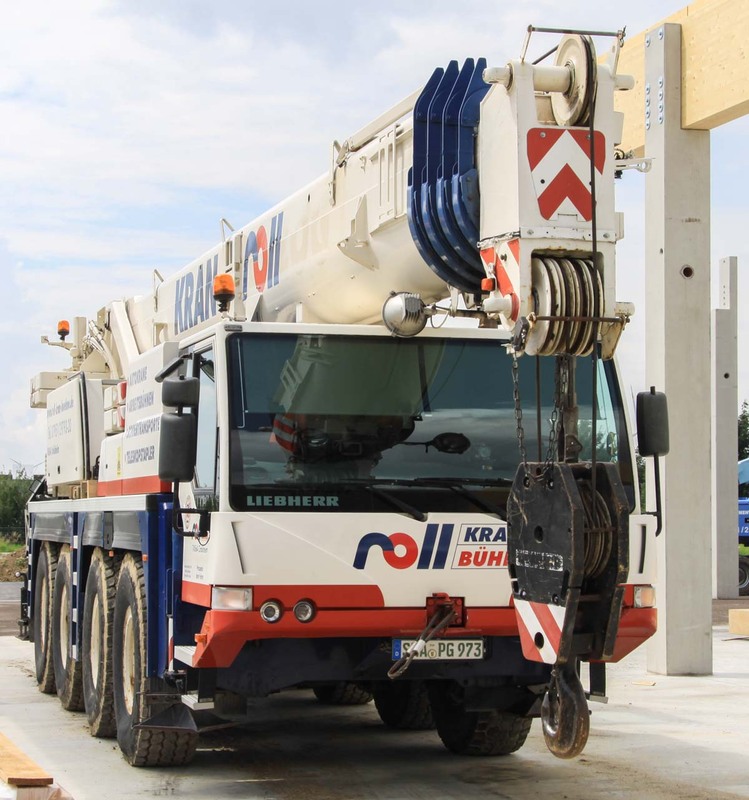 The 17-meter bi-fold swingaway jib is mountable under 0, 20 and 40 degrees. The outrigger base measures 8 x 6.3 meters, or half 8 x 4.5 meters. During the transport over the road is 5.7 tonnes of counterweight lay down on the undercarriage. The transport dimensions are 12.4 meter length, 2.7 meters breadth and 3.8 meters height. The transport weight incl. 12 tonnes of counterweight is 48 tonnes. At the rear of the crane are large boxes made for spreader woods and lifting tools. 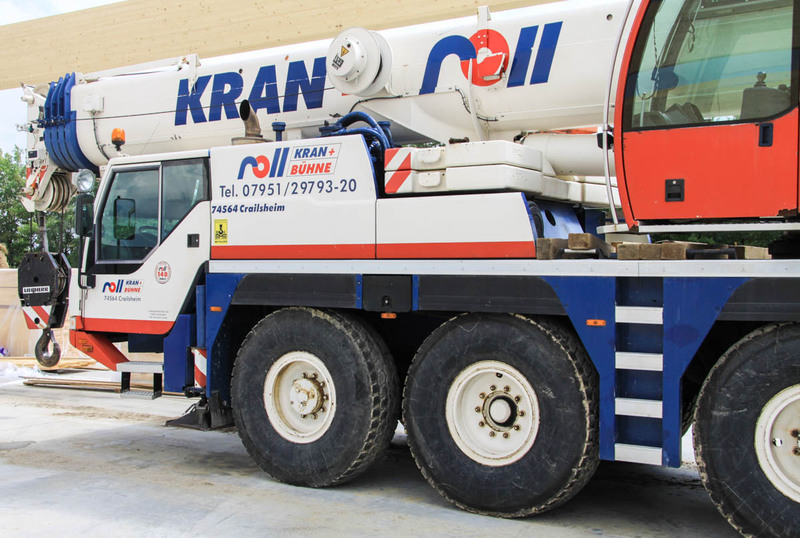 Attached to the superstructure is 6.7 tonnes of counterweight. The counterweight has a 3.46 meter tailswing. 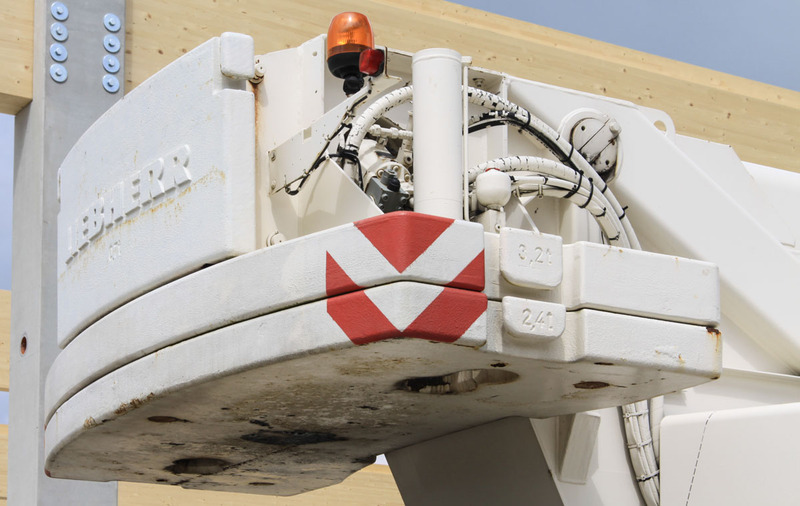 The 3-sheave hook weights 520 kg and can be used for loads up to 38.5 tonnes.